HEEL CUP: Helps position the heel to naturally absorb impact. BIOMECHANICAL SHAPE: The medium-profile shape puts biomechanical support under your foot, but takes up less space in the shoe. ORGANIC, ODOR-CONTROL COATING: All natural coating that eliminates odor-causing bacteria. 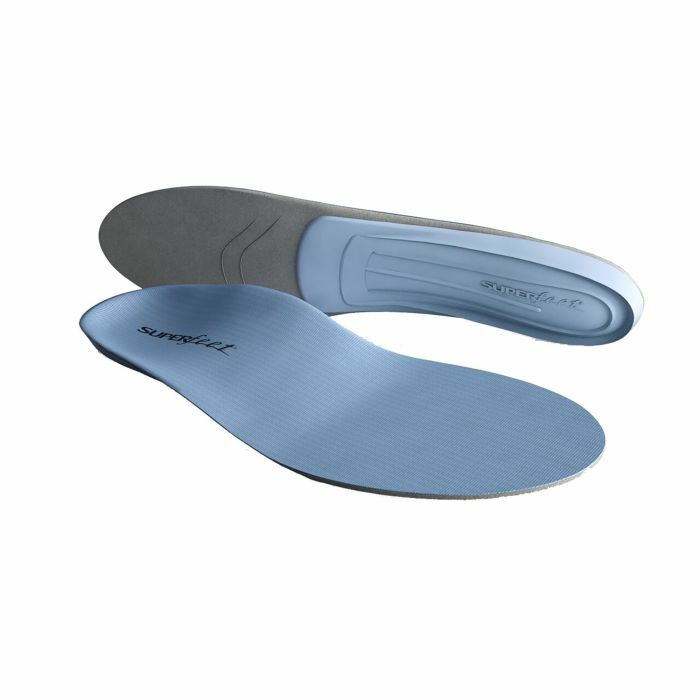 Superfeet BLUE insoles are vegan and free of latex, nickel sulfate, formaldehyde and preservatives.